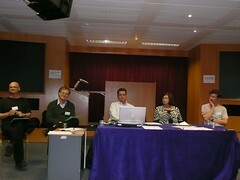 Last week there was a gathering of people from EU distance teaching universities at Milton Keynes organised by EADTU. The slides and ideas have been placed in the Research Zone of the OpenLearn LabSpace. The 2-day meeting was a great chance to share ideas and I felt there was a real buzz at the end of the meeting. There seemed to be complete commitment from everybody to a new world where the core content was free – but there was plenty of new opportunities to work together, help people learn and play an important role. Saying that good resources help people learn, but are only part of what is needed is the model and genuine strength of the open universities. This meeting was part of the Multilingual Open Resources for Independent Learning MORIL project and one of the challenges for bringing people together is how to build on the result and excitement of the meeting. 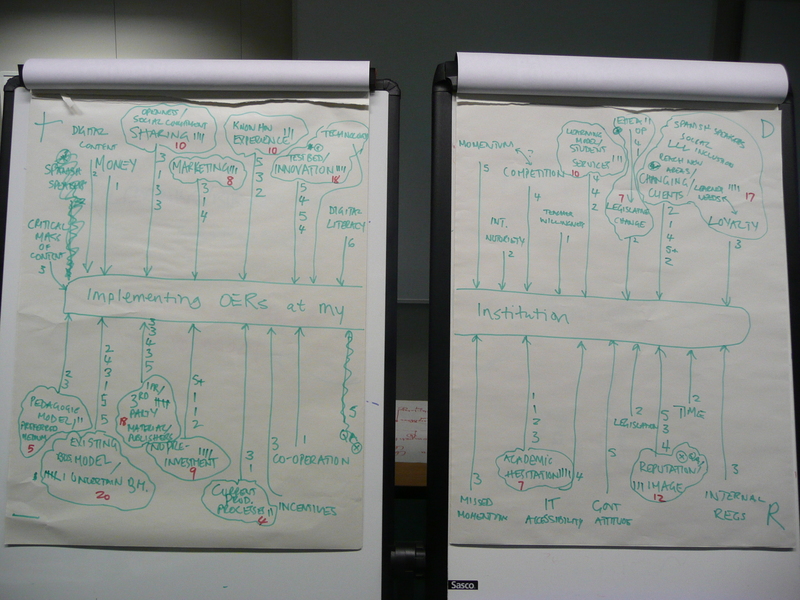 In this case a team working on the research side of OpenLearn captured activity on audio recording, prictures, videod sessions, video inteviews and knowledge maps. We plan to do more with some of the videos but Alexandra Okada has created a fantastic knowledge map built in Compendium. Worth a look as an example of how to get the best out of that free concept mapping tool as well as for the ideas it captures.